As a homeowner do you give much thought to what is behind your walls and in your attic? I mean, if you can’t see it does it really matter? Besides keeping your home warm in the winter and cool in the summer, insulation can prevent mold growth, mildew and even block unwanted noise. Insulation is essential to the home, but it is not exciting or aesthetically pleasing, so it is often not given proper thought or consideration. Generally, when a family moves into an old farmhouse, for example, more consideration is given to dingy wallpaper removal then investigating what is actually behind those walls. Building codes change, and new products are developed all the time, but when the item is already installed, little thought is given to updates. The issue is three-fold: comfort, health and economics. If the insulation in your home is outdated or improperly installed, you will be uncomfortable, unhealthy and paying through the nose….now if only there were a way you could tell if your home is improperly insulated without ripping out the walls…..
One sure sign of improper insulation is having uneven temperatures throughout your home. If you feel like you are walking through a bio-dome when you are walking through your home – say, you freeze in the kitchen but boil in your living room – that is a clear sign your house is under-insulated or has uneven insulation. You may not notice extreme temperature shifts in your home if your heating units are working overtime, but you will notice your radically high energy bill. If wasted heat or air is escaping through your roof, it is time to replace the insulation in your attic or do an attic top-up. Just as poor insulation lets heat out of your home; it also tends to let moisture in. Water has a much easier time finding its way into poorly-insulated dwellings than a well-insulated one. If the insulation becomes moist, damp, or sopping wet, there is no salvaging the material. If you are experiencing a leaky attic, your insulation may be part of the problem. If you are unsure if your attic needs to be reinsulated, we can have one of our Insulation Specialists give you a consultation. High humidity plus cool temperatures in the basement often produces condensation. Condensation collects on metal pipes, concrete basement floors (even if there is carpet over the top) and on walls which eventually creates mold. If you suspect the air quality in your home may be compromised, then you need to get a specialist in asap to do an inspection. 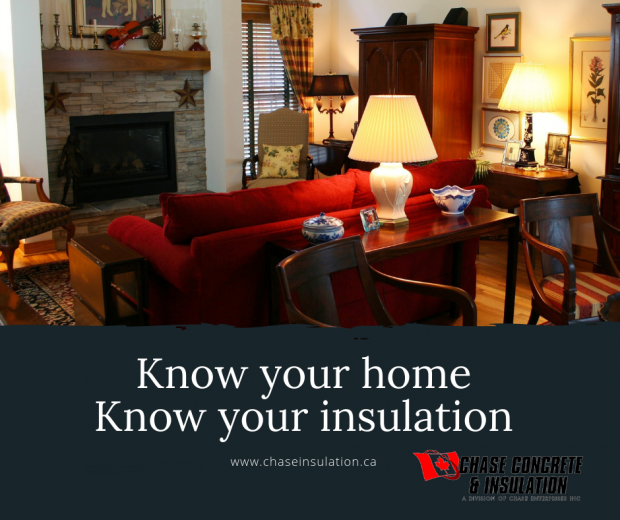 Whether you live in a turn of the century farmhouse or you have just started plans for a brand new build in Southwestern, Ontario give us a call at Chase Insulation. We would be happy to discuss your insulation needs and answer any questions you may have. With a quality selection and generous inventory, we are sure we have what you are looking for. We can even remove old insulation for you, saving you from a dirty and sometimes dangerous job. We are located in West Lorne, Ontario and are happy to serve from Chatham ON to London ON and everywhere in-between.